The Guardian Gear Classic Cargo Car Covers for Dogs install quickly and easily to protect the cargo areas of station wagons and SUVs from pet hair, dirt and damage. Simply toss in the wash when dirty. 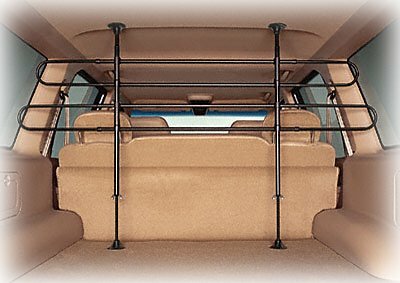 Fits most station wagons and SUVs. Made of durable, scratch-resistant polyester. Machine-washable for easy care. With Velcro tabs and straps for a secure fit. Material: 100% Polyester. Size: 58"L x 47"W.